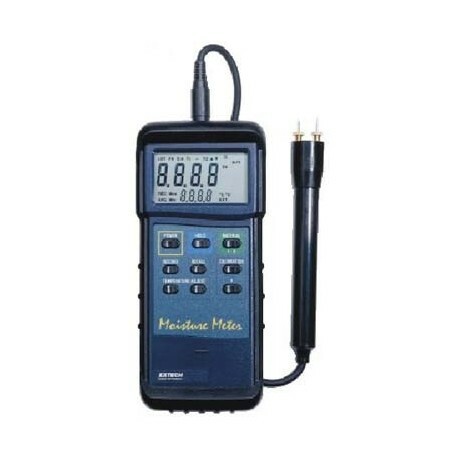 The HEAVY DUTY MOISTURE METER offers fast, accurate, wood moisture measurements with built-in self-calibration. 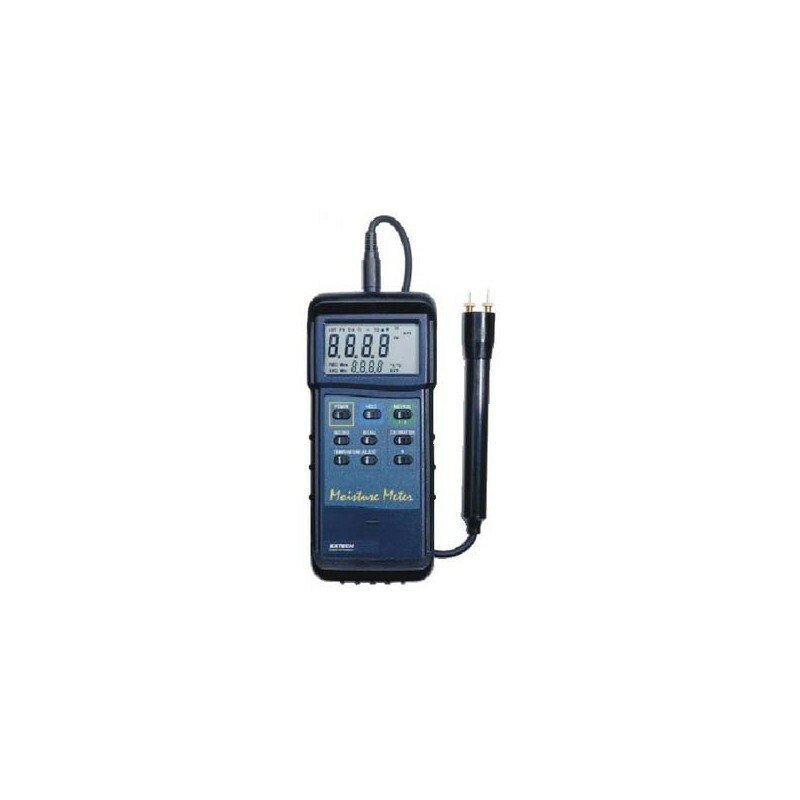 This unit features built-in self calibration with manual temperature compensation adjustment, and built-in RS-232 serial interface for connection to a PC. It displays wood moisture content from 9-30% with a 0.1% resolution and its memory contains 9 material groups including calibrations for approximately 150 species of wood. Comes complete with 2 pin moisture probe, 40 cable, 10 spare pins, protective holster, and 9V battery.